Package: 50 tabs (1 mg/tab). 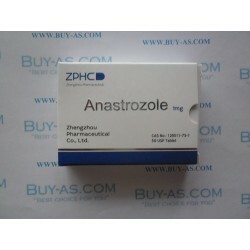 Anastrozole is a powerful anti-estrogen medication more aptly labeled an aromatase inhibitor (AI) originally developed to treat breast cancer. As is common with many AIs and anti-estrogen medications designed for this purpose Anastrozole has found a welcomed home in the world of performance enhancing based on the same attributes designed in its original intent. Comprised of the active drug Anastrozole, the original trade name given was by its creator AstraZeneca and most forms regardless of manufacture will follow suit with either the original trade name of the actual drug name itself. 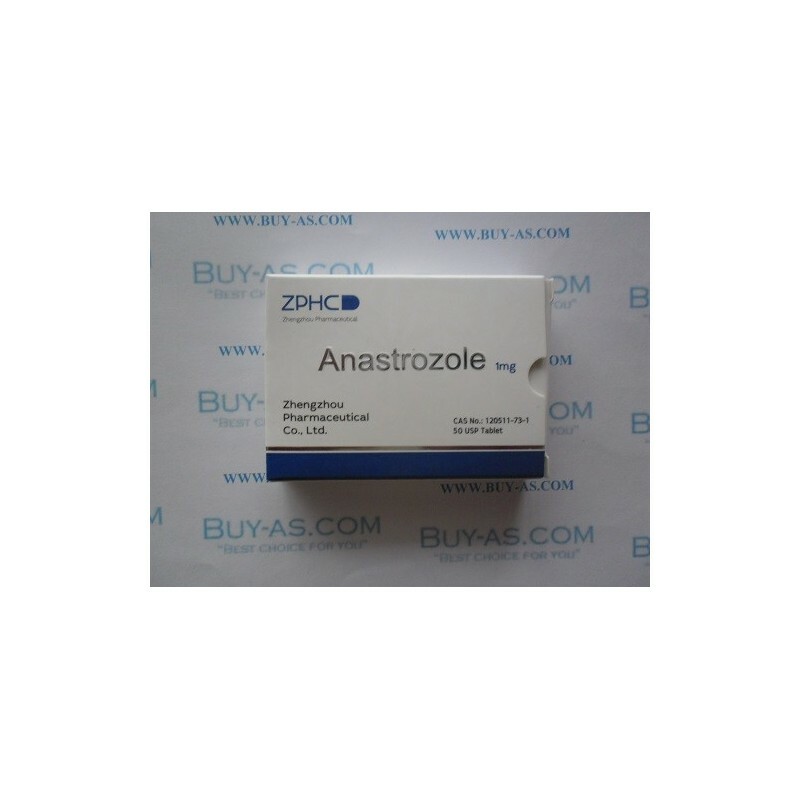 Anastrozole performs by actively blocking the aromatase enzyme; this is important for steroid users as the aromatase process is what is responsible for many of the negative side-effects commonly associated with anabolic steroid use. As many anabolic steroids convert to estrogen such side-effects as Gynecomastia and excess water retention can become a problem to name a few but with supplemental Anastrozole such problems can largely be reduced and often eliminated altogether. Through supplemental Anastrozole use we actively block the estrogen conversion and reduce the total amount of estrogen in the body thereby preventing what isnt there from binding to the receptors of the body. While Anastrozole can be used while on cycle as well as during post cycle therapy (PCT) most will find its use is best served while on cycle and the using of SERMs to be the best bet during a PCT. However, for on cycle purposes AIs such as Anastrozole will prove to be far more beneficial and effective; more so than SERMs although they can be used here as well. While an AI such as Anastrozole will actually reduce estrogen a SERM such as Nolvadex or Clomid will not; these SERMs will only block the estrogen from binding and they will not block all of it and will not reduce. However, as Anastrozole will reduce total levels too much will do so to a degree that will actually hinder the athletes progression as some estrogen is needed for tissue gains and more importantly a well-functioning body. The manner by-which Anastrozole reduces estrogen is really the main reason why its not a preferred PCT medication. Yes, it will increase testosterone levels during the PCT period, the entire purpose of the PCT process to begin with but the estrogen reduction is too much for this purpose and SERMs will prove to be a better choice to meet this end. A solid plan for most to follow is a small dosing of Anastrozole while on cycle; generally 0.5mg every other day will get the job done, although some will need to go as high as 1mg every other day in order to prevent side-effects from anabolic steroid use. As 1mg will prove to be our general max dose those in the competitive bodybuilding world will often supplement with 1mg every single day shortly before competition. Short periods of high dosing will provide a physique a much harder and dryer look but in this case such dosing will generally only last 7-14 days in total duration as some estrogen is needed in the body for the long haul. Once the cycle of anabolic steroids is complete and the PCT period begins dropping all Arimidex and anabolic steroids and beginning therapy with SERMs such as Nolvadex and Clomid will prove to be optimal as they will increase natural testosterone production while allowing enough estrogen in the body to perform the designated tasks.